This two story building is the casino, near the Breakers Hotel. 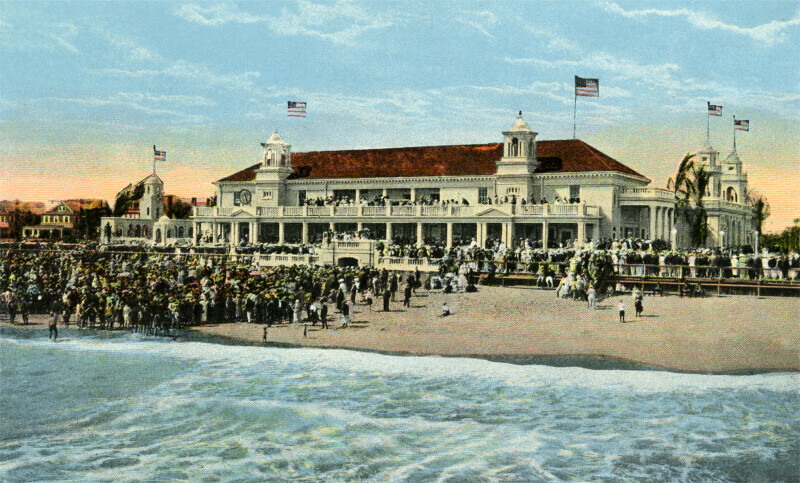 There is a large crowd of people on the beach, and on the two story porch that runs along the rear façade of the casino. The building is white, with a terracotta tile roof.